With several high-profile Texas House Members announcing their retirements, primary season in Texas is heating up. Last month the picture became a little bit clearer with several races forced into runoffs being held May 22. The “blue wave” in Texas has turned out to be an embarrassment, so now the only question left is which type of Republican will get elected in Texas, conservatives or establishment Republicans masquerading as conservatives? No one knows how dangerous the swamp can be more than members of the Freedom Caucus. This group of conservative House Republicans is routinely demonized in the media for wanting low taxes, fewer regulations, and the repeal of Obamacare, policy issues all Republicans campaigned on. However, the group is often outnumbered by the Democrats and the Tuesday Group, a group of Republicans that vote like Democrats. The Freedom Caucus needs reinforcements to push the limited government agenda because if they don’t, no one will. One of the most hotly contested races is for 21st District. The district is currently being held by Chairman of the Committee on Science, Space, and Technology, Lamar Smith. It is a rather large district stretching between the suburbs of North San Antonio and South Austin, then westward for over a hundred miles. The district has been a solidly Republican district with Smith winning his last election by over 20 points. 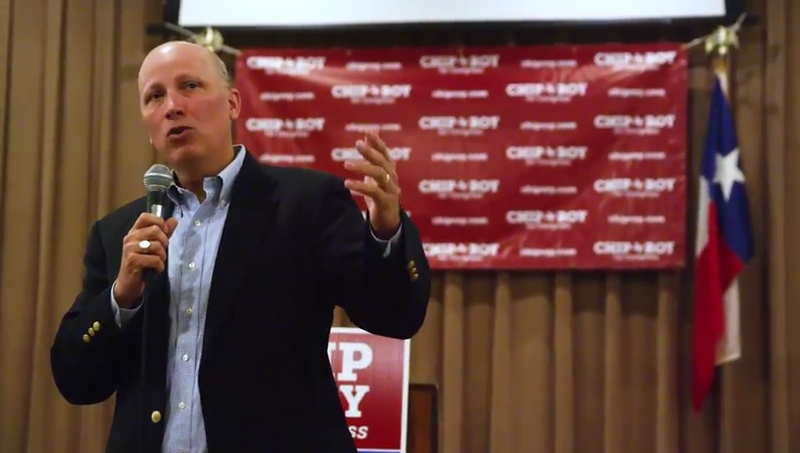 Following the primary earlier this year, the runoff has now come down to Chip Roy, former Chief of Staff to Texas Senator Ted Cruz, and Matt McCall, a perennial candidate, running against Smith in 2014 and 2016. Roy has received numerous endorsements from conservative heavyweights like Ted Cruz, Utah Senator Mike Lee, the Club for Growth, and the Senate Conservatives Fund. Most importantly, he has received endorsements from some of his potential contemporaries in the House including fellow Texan Rep. Louie Gohmert and the House Freedom Fund, the political action arm of the Freedom Caucus. The advantage Roy has is he knows who the swamp creatures are, and he has the bite marks to prove it. Something that happens quite often with freshman members is they get overwhelmed by the glitz and glamour during their first few weeks and get saddled with establishment staff. Roy knows who to avoid and who to work with. It would be hard for the 21st District of Texas to do better.